Yikes, I almost forgot about posting my pictures for the challenge!!!!! 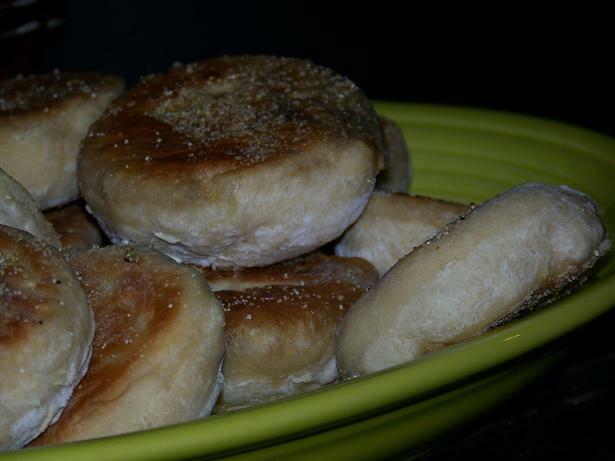 English Muffins, a real delicacy around here. 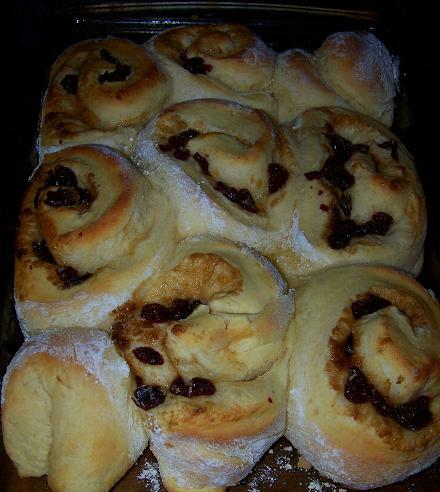 We usually make a double batch about once a year, sometime during the winter months. They’re so good that half of them are devoured before they are completely cool. 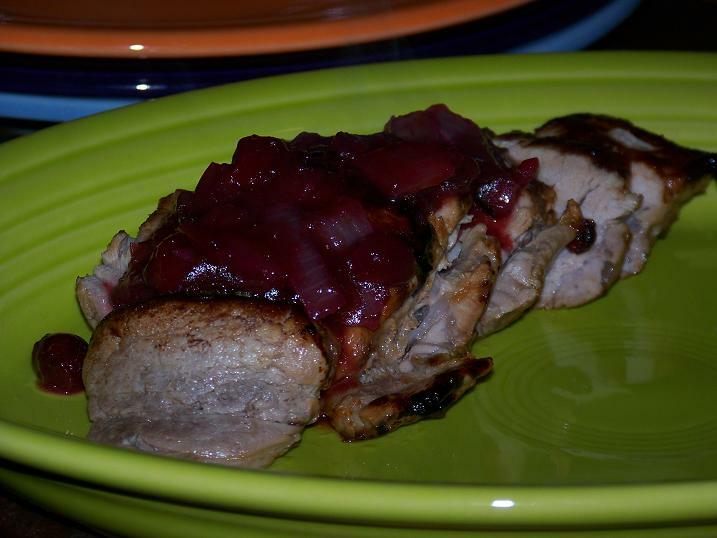 Pioneer Woman’s Pork Loin with Cranberry sauce. It was delicious! (Yes, we do have a thing for green dishes). I love the twist she put on the cranberry sauce by adding sautéed onions to it. When I first tasted it, I kind of didn’t like the taste, but then after a second taste, I was hooked. Mom wasn’t too keen on it, but aren’t mothers and their teenage daughters supposed to disagree? Macro Monday time again! Food and trees with super wicked thorns make an interesting mix, but what the heck? This is the common Hawthorn tree. Their berries turn the most beautiful shades of red and black as they get ripe. 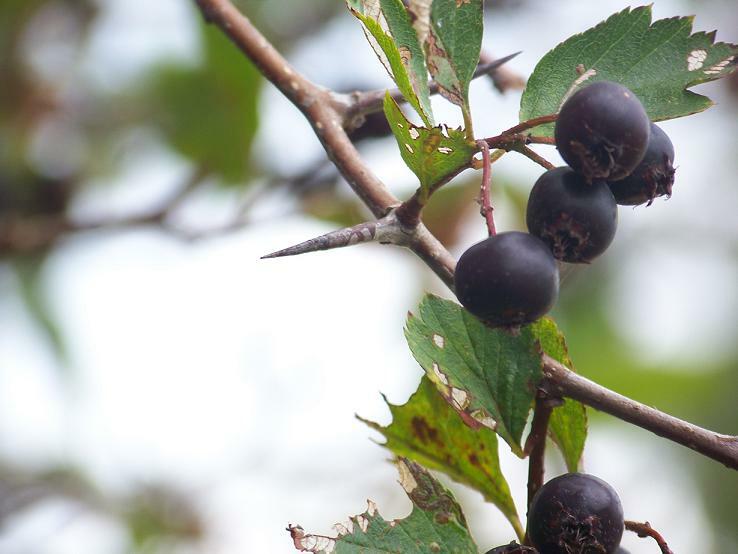 A little history: the fruit, called a haw is used to make jelly, jam, wine, syrups, and add flavor to brandy. 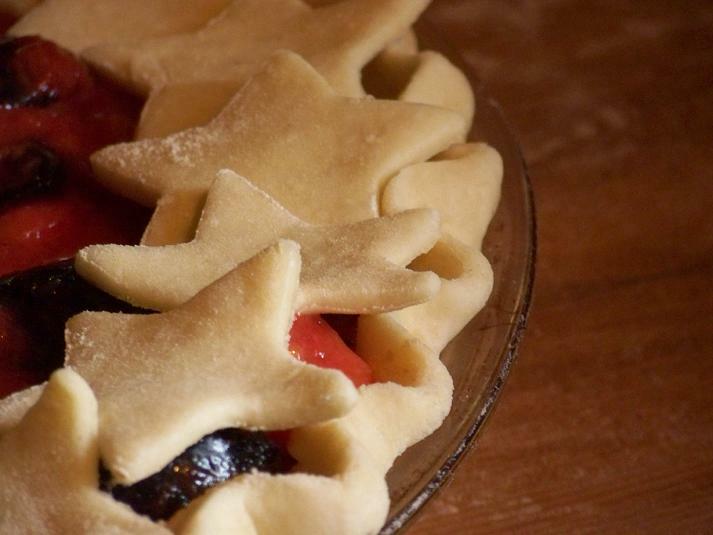 The plum/peach pie that Mom made yesterday. Melvin is hoping for a bite or two of the mock Plum Pudding….